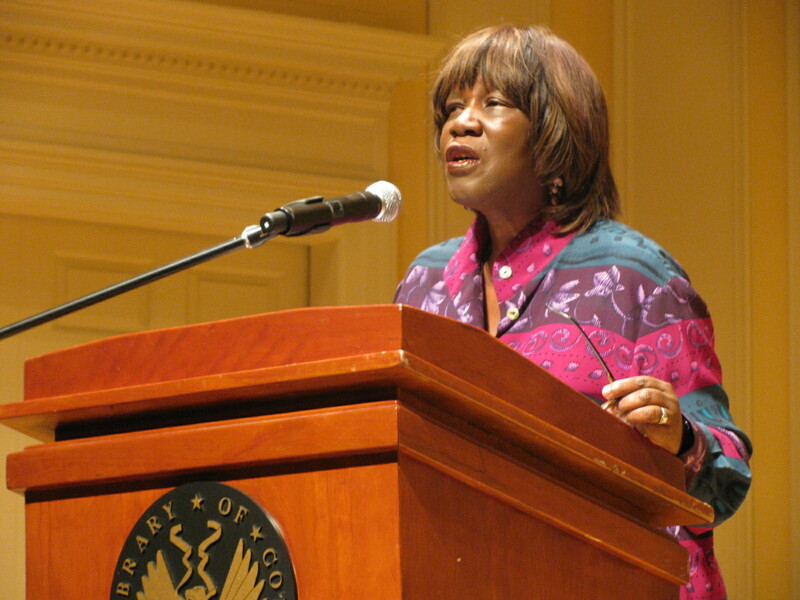 Patricia Smith reading at the Library of Congress. Photo by Slowking4. Click here for licensing information. The New York Times today has a fascinating story about how former Boston Globe columnist Patricia Smith has reinvented herself as an acclaimed poet. The end of Smith’s newspaper career was ugly, and reporter Rachel Swarns spares no details. But Smith was always a talented writer, and her tale of redemption is inspiring.